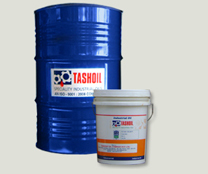 DE Watering Fluid :: Tashoil Company Pvt. Ltd. These preventives oils are intended for the temporary protection of metal surfaces from atmospheric Corrosion, the main factor affecting atmosphere corrosion are moisture, oxygen, Corrosive gases coming from industries and salts. These oils reduces surfaces conductance by creating a temporary protective layer on metal surface, thus reducing the unwanted expenses of engineering industries and are significant part of metal corrosion preventives market. Solvent deposited type:- They are soft film, solvent deposited, water displacing type rust preventives can be applied directly on water wet metal surfaces. Can be applied by spraying or by dipping or by brushing, film removed by MTO or solvent.